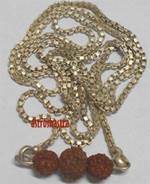 Navdurga Rudraksh pendant with Three Nine Mukhi Beads in 105 small five mukhi rosary. This Nav Durga Shakti Pendant is blessed with the powers of Nine forms of Goddess Durga i.e. 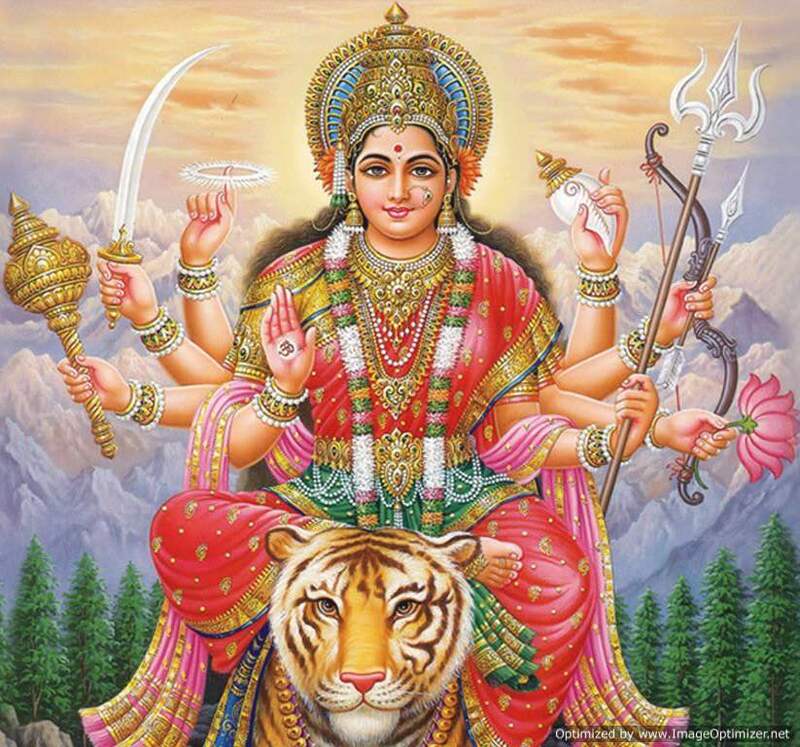 Shailputri, Brahamcharini, Chandraghanta, Kushmanda, Skandmata, Katayayani, Kaalratri, Mahagauri, Sidhidatri. 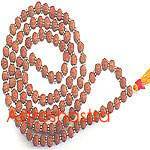 Nav Durga Shakti Pendant is auspicious for spritual attainments, wealth, property and other wordly affairs. Maa Durga is the bestower of wealth, prosperity, pleasures of family life and also she grants the boon for fulfilling all one's desires. Those who wear it also obtain grace of Bhariava. 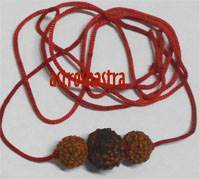 Those undergoing the mahadasa or anterdasa of Rahu and Ketu shall wear this energised Durga Pendant. 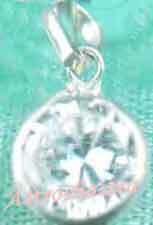 This pendant is also very useful to check Abortions and to get liberation. There are no words to describe the powers of Nav Durga Shankti Pendant. Wearer of this pendant is always free for spirits and ghost. No black magic or any illeffect of spirits can touch the wearer. Wear it or place it in your safe , you will always be protected by Maa Shakti.